STRINGER Vietnam/REUTERSA Vietnamese naval soldier stands quard at Thuyen Chai island in the Spratly archipelago January 17, 2013. 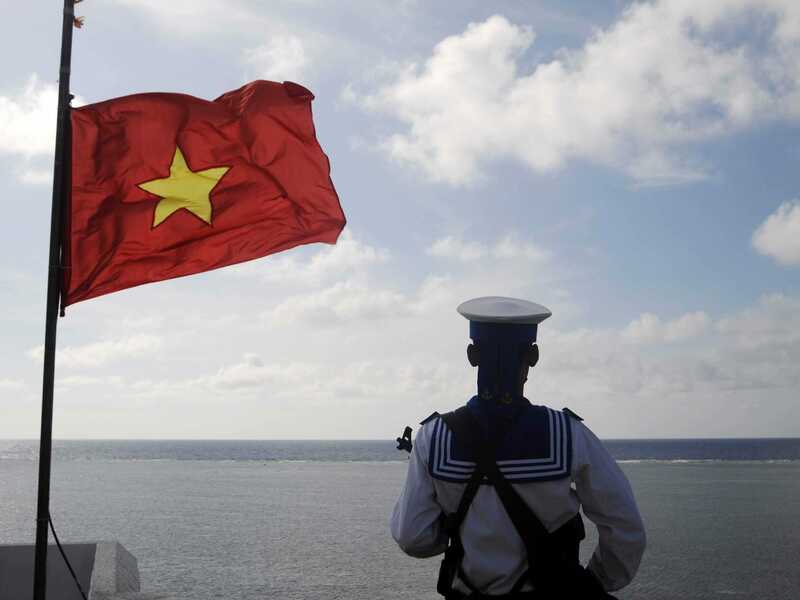 Vietnam is becoming a proxy against China in any future possible confrontation in the South China Sea or South Asia as a whole. On Oct. 28 India announced that it would sell naval vessels to Vietnam in exchange for an energy-exploration deal. These vessels would arrive at a time of rising tension between Vietnam and China over contested island chains in the South China Sea. Massive protests broke out across Vietnam in May and over the summer, as citizens torched Chinese businesses after China moved an oil rig into disputed territory west of the Paracel Islands in the South China Sea. Both Vietnam and China lay claim to the islands, and the nations have frequently clashed over them. India’s decision to back Vietnam comes during the country’s own border disputes with China. China and India fought a border war in 1962 that has led to the frontier between the two countries in a still-unresolved state of controversy. China has taken full advantage of this lack of demarcation to slowly eat away at Indian territory by very slowly pushing its troops into the disputed areas and normalizing Chinese control over them. The incursions are never enough to justify a military response from India, but this lack of a reaction gives China a strategic advantage. Although China and India are attempting to repair relations and usher in a period of economic coexistence, militarily the two countries are carefully sizing each other up. The US has also paid particular attention to the possible use of Vietnam as a proxy against Chinese expansionism. On Oct. 2, the US partially lifted a ban on supplying lethal weapons to the country in a bid to help it improve its maritime security against China. This effort to improve the military strength of China’s rivals comes amid a time of rapid Chinese advancement. China is in the process of developing a fleet of nuclear powered submarines. The nation also is attempting to develop a fifth-generation fighter jet fleet to challenge US and allied air supremacy in the region. Along with India and Vietnam, China also has unresolved territorial disputes with Japan, the Philippines, and Malaysia.